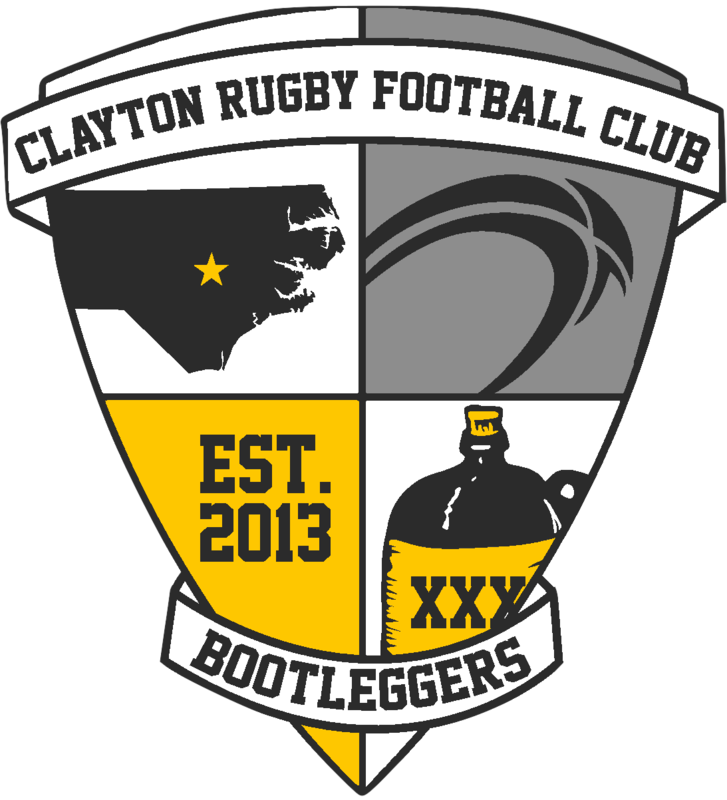 CAMP LEJEUNE, NC – The Clayton Bootleggers closed out their Fall season on the road against Camp Lejeune on Saturday. Expecting a tough match, the Bootleggers did little to help their efforts as they travelled light to take on a Misfit’s side that had hung in strong against both Chapel Hill and Cape Fear, two sides that handed Clayton considerable defeats. Undaunted, the Clayton players that made the trip gave Camp Lejeune everything they had for 80 minutes. The actions started off as expected with Camp Lejeune dictating the pace and style of the match. The Misfits aimed to expose the inexperienced Bootlegger outside backs and tried to open up the match early. 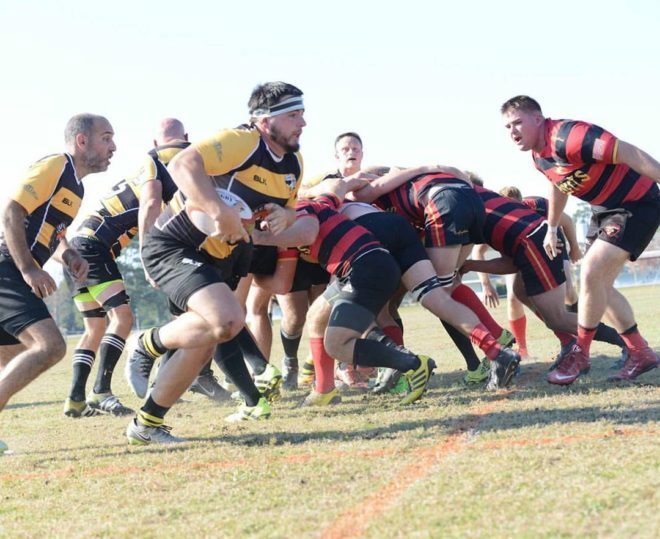 Within ten minutes of starting the match, Lejeune crossed over for their first try to take a lead that they would not relinquish the rest of the day. Camp Lejeune continued to pound the Clayton lines for the remainder of the half. What little possession that the Bootleggers had of the ball showed promise as they found holes in the Misfit’s defense. Unfortunately, mistakes made led to easy tried for Camp Lejeune. As the Misfits rolled out to a commanding lead, the Bootleggers got onto the board midway through the first half with a try from No. 8 Gareth Davies. The ECU product followed with a long break and scored his second try of the match just before halftime. Despite the scores, Camp Lejeune took a commanding 40-12 lead into the break. Clayton came out of the gate firing in the second half and spent much of the first ten minutes buried deep in Camp Lejeune’s territory. As was the story of the day, small mistakes by the Bootleggers led to long scores for the Misfits, whom were opportunistic in punishing Clayton mistakes. Despite the deficit, Clayton finally began to convert their second half pressure into points. The Bootleggers got second half tries from Simon Potter, Stuart McKenzie, Jim Bartles, and Ted Hardy to put a dent in the Camp Lejeune lead. However, the Misfits finished strong and scored a flurry of tries in the final ten minutes to push the scoreline well out of reach with a 83-38 win. The loss closes out a tough Fall for the Bootlegger’s D3 side. The squad finished the Fall with a 2-3 record. The Bootleggers get a rest for the Holidays and pick back up training in January to prepare for the second half of the 2016/2017 season. The squad will get another crack at all of their CGRU North Division opponents in the Spring as well as a number of quality non-league matches. The Clayton Rugby Football Club would like to thank all of their sponsors for helping make this season great: Deep River Brewing Company, Clayton Chiropractic, Crossfit Clayton, Orthopaedic Specialists of North Carolina, Ruck Science, and World Rugby Shop.